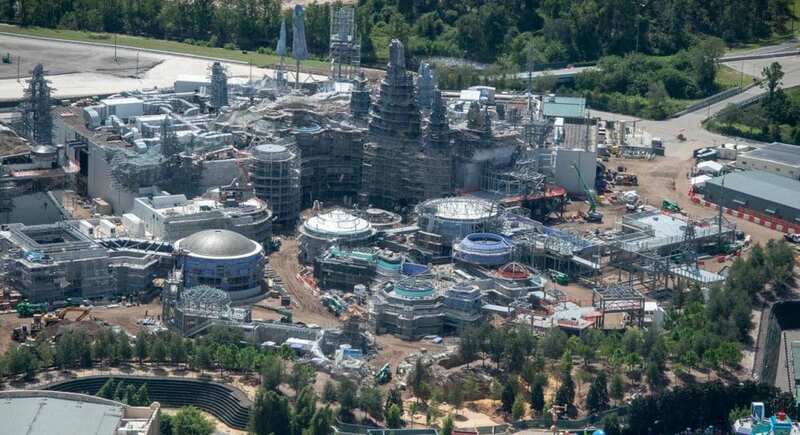 The creators of the Galaxy’s Edge expansion didn’t want to rehash old storylines – they wanted to create brand new ones. That’s why the land of this new world is called Batuu and is a land built around petrified tree stumps that can measure up to 135 feet tall throughout the parks. This is the first of the two immersive rides in the park that will give visitors the chance to venture into a rebel base before getting thrown into prison by a Star Destroyer. Now, it’s your job to pilot your way through the ride as Disney cast members help to bring the experience to life. The other ride on offer, Smugglers Run, is the one many have been waiting for. At last, we can step foot on the Millennium Falcon. Here, we can control the shop as we set off on a cargo mission and get closer to the main event than we ever believed. As well as featuring hidden easter eggs on the Disney Play app that can be found throughout the park, stepping into Batuu is just like stepping into the Star Wars universe. There is no merch available, but fitting costumes, lightsabers, and other toys that all look handmade. That’s right; Disney has been working hard to craft a menu that represents the new world. 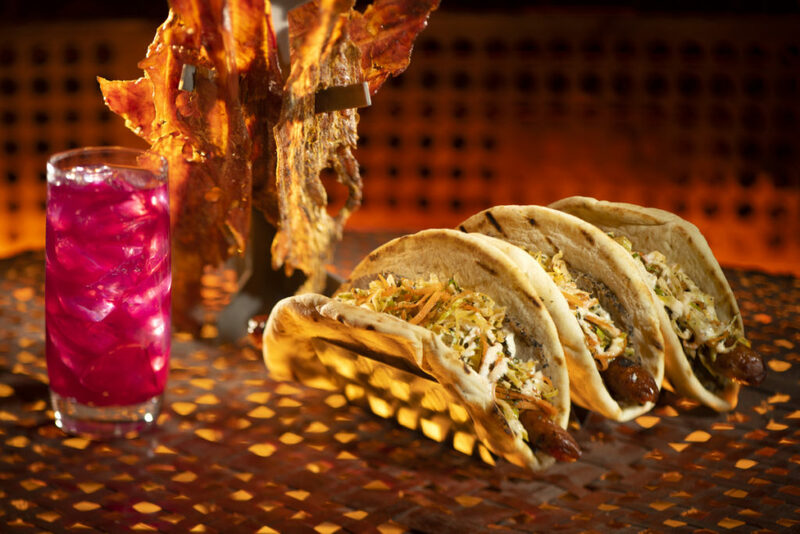 There are fitting foods on offer alongside a selection of drinks available to try at Oga’s Cantina – including many family-friendly options. So when do we get to enjoy the new land? Both expansions are being built over 14 acres of land with the California branch set to open in summer 2019. As for Florida, they will have to wait a little longer as the world is set to open up its doors in fall 2019. 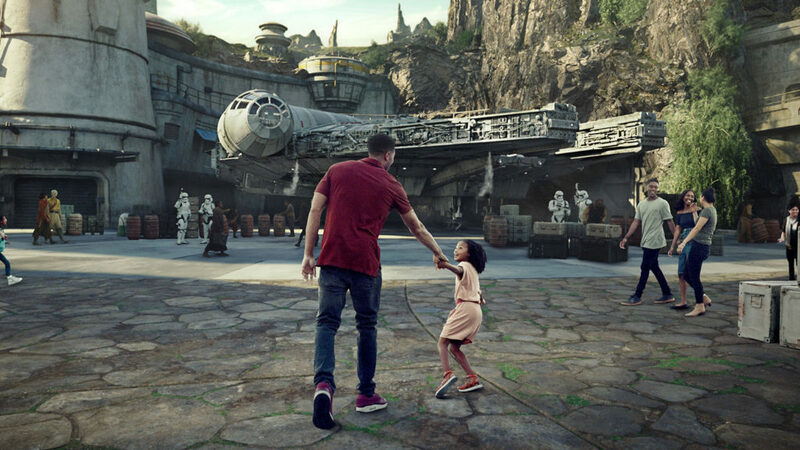 It might have once seemed out of this world to step into Star Wars, but now it’s closer than ever thanks to Disney’s new theme park – and we can’t wait.